Posted by Steve in Not The End! The style of my reviews has evolved over time, but my philosophy behind them has not: I am essentially writing them for myself. They are what I would share with my younger self if I had could travel back in time to that fateful week in 2012; they convey what I wish I had known when trying to decide which one biography to read for each president. Along the way I learned a great deal, of course. One of the least surprising revelations: reading good biographies is an easy and enjoyable endeavor, but writing good reviews is surprisingly hard. So I can only imagine the stress, strain, angst and madness involved in writing a presidential biography. My hat is off to all who have walked that particular path. For me, the ideal presidential biography often feels like a work of fiction: wonderfully descriptive and utterly engaging. But it also possesses remarkable historical merit: broad in scope, extremely well-researched, penetrating and insightful, revealing and thought-provoking. I appreciate biographers who take the time to collect more data than they present; who dissect, analyze, synthesize and distill; who uncover and reveal; who connect the past to the present in a given era; who follow the arc of a person’s evolution and maturation; who ask how and why someone followed a particular path. In a great presidential biography I also expect to learn what motivated someone to seek the presidency; whether that person possessed the skills required by the nation in that moment; whether (and how) that person adapted to the demands of the most daunting job in the world; how that president altered (for better or worse) the course of the nation; and what legacy that person left behind. Writing a great biography is a tall order, to be sure. Along the way I came to appreciate the risk of providing and relying upon numeric ratings. They are blunt, one-dimensional objects which tend to obscure nuance and mask complexity. Two books with an identical score can possess very different strengths and weaknesses. And, like flavors of ice cream, different people will often walk away from the same experience with a very different reaction. If I were to re-rate this set of biographies with the benefit of hindsight I would pull the bell curve out at both ends – more biographies would earn 5 stars and more would receive fewer than 3 stars. And if I had calibrated my ratings system “perfectly” from the outset I expect the median rating would have been 3½ (rather than 3¾) stars. (*) I am often asked whether I still think this was the best presidential biography I read and whether, if I read it again, it would still receive 5 stars. An excellent question…and I’m not entirely sure of the answer. But I’m reading Ron Chernow’s “Alexander Hamilton” now and am reminded what I like so much about his approach and style. (5) My vocabulary has improved. Enormously. I’ve been engaged in this quest to uncover the best presidential biographies for nearly one-fourth of my adult life, so I’m going to shift gears slightly. But I’ve also assembled a “Related Reading” list of about 240 biographies of compelling people I met on this journey (folks like Ben Franklin, Frederick Douglass, Sam Houston and Winston Churchill) who were instrumental in our nation’s history, but never served as president. And there is no escaping that some of the greatest biographies ever written cover folks like Leonardo da Vinci, Albert Einstein, Mozart and King Henry VIII. I’ve spent a portion of the last three years assembling a master list of the best and most beloved biographies of all time – nearly 600 and counting – and it is impossible to resist the thought of tackling some of those. → I will now be allocating ~1/3 of my time to each of the following: follow-up presidential biographies, “Related Reading” biographies and “other” great biographies. My plan for the remainder of 2019 can be found here – it should be an exciting year! – Would you consider writing a post / article on the common characteristics or features of great presidents? – Would you write a post / column / book ranking the presidents and supporting your assessments? – Would you consider writing a biography of [_______]? – Can I send you a (free) book we just published for you to review? Thanks to the 5,000 or so of you who are following this site regularly and to the dozens of you who have kept up with this journey for so long and provided a steady stream of feedback: about biographies I’ve missed, your thoughts on a review just posted, alerting me to upcoming releases of significance, posting an answer to another reader’s query, etc. You’ve all helped create a fascinating, unique and invaluable community. Steve, thanks for all your interesting posts. I admire your discipline. I’m still struggling get one per president esp. when I get to a book I struggle with. I find it hard to push through it. I use your posts for suggestions as I go forward. Looking forward to the “rest of the story” on both sites. Thanks for your note and good luck pushing ahead! And, oh my, I know how tough it can be! If you ever feel compelled to abandon ship…don’t! At worst, just skip ahead to a “no-brainer.” There are so many great presidential biographies out there! Congratulations on not only reaching your goal, but far surpassing it. I’ve enjoyed reading your reviews and learned from them. Thank you! Bravo. Thank you for sharing your journey and thoughts with us. It is great seeing a community of fellow readers with an interest in the presidents and presidency. Thanks for sharing this long ride, and to the future indeed! Great job, your reviews have been extremely helpful! Enjoy expanding your repertoire of biographies! Some of my favorite non-presidential bios: “Unbroken” (Louis Zamperini), “For the Glory” (Eric Liddell), “The Pianist” (Wladyslaw Szpilman), “Napoleon” (by Andrew Roberts), “Walking with Destiny” (Winston Churchill), “Bolivar” (by Marie Arana). Fantastic – thanks! You’re the second person today to recommend “Unbroken” and I believe I have your Napoleon and Churchill bios on my list. In fact, I’m planning to read “Walking with Destiny” at the end of this year – I understand it’s phenomenal! I’m just finishing up “Walking with Destiny,” and it has been great! If Churchill had been an American president he would be in my top 3 for sure. I’m curious, have you put together your own rating scale for presidents, akin to the Schlesinger rankings? My wife and I have been rating each president on a scale from 1-10 as we read about them. Hi – really enjoyed these posts! Have you posted the 105 book follow-up list of presidential biographies anywhere? It is embedded in the master list of presidential bios you can find at the top of the page – I should have made that clear(!) Some presidents have several follow-up bios (you can find them at the end of each presidential section after the books I *did* read) and some have none. Congratulations, Steve!! And well done!! I cannot believe how quickly you cranked through your reading list. As someone who started on a similar journey a few years before you and is still “only” on William Howard Taft (I read The Bully Pulpit and have Pringle’s bio next on the list, but do I really have to?! ), I admire your discipline and productivity more than you know and have greatly enjoyed your thoughts, insights and encouragement! Yes, read Pringle’s. Taft is one of those underappreciated and misunderstood presidents. Plus, you’re also reading a biography of a justice of the Supreme Court, a branch of the government I have found to be lacking in attention along this endeavor. We HAVE hit Virginia but still more to see in that history rich state. Poplar Forest, one of our favorites sparked the read “The Art Of Power” by Jon Meacham. Currently loving life in Key West, close to another favorite presidential gem, Truman’s Little White House, which sparked “”Truman” by David McCullough. Thanks, Steve, it truly is a great adventure. I discovered your blog , or whatever it is, a few years ago. I have enjoyed your insight into the Presidential biographies as I wander along the journey of reading at least one for every President. Thank you so much for your effort, which has been remarkable. On occasion, I feel a need to comment on a particular book I have read from your list. And will start doing so as “part of the group”. In any event, welcome to the “group” and I look forward to hearing what you think about what you OR I read! Wow, congratulations. Such an impressive accomplishment. I’ve been visiting your site for about two years and am reading two or three biographies of each president (I’m about to begin TR). It’s been extremely helpful to be able to choose biographies to read by looking through your reviews. Otherwise I’d have been completely at sea. I have to agree wholeheartedly with your fourth point: things have been this ____ before. It’s apparent even from the very beginning, with the press reaction to Washington. It’s calming and scary simultaneously, I think. Good luck on the next phase! Indeed, anyone who doubts point #4 just needs to re-live the first two or three presidencies…or read about the Buchanan/Lincoln era. And there are other (if somewhat less dramatic) examples. Folks like Roscoe Conkling almost put modern-day spin-masters to shame! Roscoe Conkling and James Blaine are definitely on my “come back to” reading list. Reading about their antics was so entertaining! Charles Sumner, Henry Cabot Lodge, and Henry Clay are on my list as well. Congratulations on a staggering achievement. I look forward to whatever you decide to do next. Thanks, and don’t worry – I’m not going far! What a fantastic blog and thank you so much for sharing! It has been a wonderful ride – very late on hopping on though I was – and I’ve enjoyed going through your archives as well. Time and energy permitting, the road ahead is a long and hopefully fruitful one, so stay tuned! I hope to be reading 12-14 presidential biographies per year in addition to about 25 non-presidential biographies. And once I get through the heart of my “follow-up” list I will try to read new high-potential presidential biographies essentially the moment they become available. It has been a pleasure following you on this journey. I look forward to the next chapter! Thanks – I have to admit I’m looking forward to continuing to read presidential biographies but with some other goodies mixed in just to keep it fresh! Congrats on completing your journey! I have been following you for the last couple of years. As I write this, I am up to Wilson. I just read one book for each President, but it has been very enjoyable keeping up with your posts. I greatly appreciated your insight on what books to read. I had read up on a some of the Presidents in the 1900s before I found your website, so I hope to finish up this year with reading at least one book on each President. It has been an enjoyable journey through history! Thank you – it is certainly a fascinating journey through history and I think you’re going to love the next few months of reading given the presidents you are heading towards! Steve, congrats on an amazing accomplishment! I’m up to Zachary Taylor now on my journey over at AmericanHistoryProject.net, and it’s been quite a ride. I’m really excited to see that you’re going to be reading Traub’s book on John Quincy Adams. I hope you enjoy it as much as I did. I found it to be possibly the best of the books I’ve read so far. Enjoy Chernow’s Hamilton, it’s a great one! Great job Steve, this site has made it so much easier for me to compile my list. Love that this was “finished” on Presidents Day. I would like to pretend that the Presidents Day “finish” was a coincidence, but….! Once I realized I couldn’t finish on my 6th anniversary (this past December) I decided I had to make Presidents Day work. It was just too elegant an opportunity miss, but it did require some vacation days the past two weeks to make up some ground. What an incredible milestone in you completing this initial journey! In my view, it’s an unparalleled feat that may never be equaled. You have such an impact on what we choose to read on presidents. Best wishes on Phase 2. Thanks so much, and thanks for being part of the ride for quite some time! I’m really quite excited about reading about a few people who never ran for president 🙂 But, of course, l’m also looking forward to picking and choosing which follow-up biographies to read! Thank you Steve for this journey. I look forward to your follow-ups. I have followed since around Adams maybe even the end of Washington. I have based a large portion of my presidential library on your write-ups. Just curious, out of all the books you read, which ones would you consider a definitive biography? Also which ones would you re-rank a 5 star(might be the same as the definitive answer)? Wow, it seems as though you’ve been part of the ride from almost the very beginning! I’d have to go back and carefully sift through my list to answer your first question, and I would want to be sure there wasn’t something on my “follow-up” list which I would have to read in order to be definitive. But I consider Chernow’s bio of Washington close to definitive (I’m curious about Freeman’s series which I haven’t yet read), Page Smith’s series close to definitive on John Adams, Dumas Malone’s series definitive for Jefferson, Remini’s series definitive on Jackson, Burlingame’s series definitive on LIncoln… I also suspect Wallner’s two volumes on Franklin Pierce will never be topped and Edmund Morris’s series on Teddy Roosevelt may well forever be the “go to” series on TR. 🙂 It was a great idea on someone’s part! Steve, you are a WIZARD at reading! 123,000 pages in six years! That takes a lot of perseverance! I noticed you were doing a “best biographies of all time” list, and I have a suggestion. The Last Lion: Winston Spencer Churchill, by William Manchester, is legitimately the best biography I have ever read by far. It is a three-volume set, but Manchester only finished the first two volumes before his death. He left the third volume to an inferior (but still exceptional) writer, Paul Reid. Had Manchester finished his work, I believe it would be the go-to biography of Churchill to date. There is obviously a place for more detail (Martin Gilbert), and a place for more brevity (Andrew Roberts), but I think Manchester holds the top spot in mid-length Churchill scholarship. It is well worth the read. He is so poetic and dramatic that at some points he made me cry! I’m a deadpan 16-year-old boy, and I don’t cry often! Anyway, I wish you all the best on your next journey. I’m still only on Dumas Malone’s biography of Jefferson. I read about 20,000 pages per year, which is similar to what your average pace was in your six-year journey. How you found time for that with a job and a family, I have no idea. I could finish a single biography of each president reasonably fast at that pace, but I don’t think I could sustain reading only biographies for very long. I’m also really into economics, history, politics, some philosophy, and, more recently, classical music. I’m anticipating my presidential journey taking about as long as yours. All the best on your next challenge! Jude, thanks for your comment and suggestions. I’ve definitely got Manchester’s series on my “master” list although I’ve convinced myself to read Andrew Robert’s biography first. I’ve heard great things about it and right now I’m tempted to begin this new “push” with single-volume biographies since most people find them more accessible than a series. However, I’m seriously considering a few “Best Biographies of _____” off-shoots which would obviously involve reading multiple biographies of specific people. Winston Churchill is the leading candidate to be my first person of focus since he is such a fascinating individual and has attracted so many wonderful biographers. The major downside, of course, is that I currently have 18 books/volumes of Churchill on my “must read” list and if I’m going to pursue something as audacious as a “Best Biographies of Winston Churchill” project it would take the better part of a year. Your next-to-last sentence almost perfectly sums up why I’m so excited about the next phase / challenge – I can’t wait to read great biographies about leading musicians, authors, inventors, economists, explorers, etc. Should be fun! I just finished reading Manchester’s biography on Douglas MacArthur and I was blown away — for certain one of the best biographies I’ve ever read, up there with anything Chernow has written, whom I regard as the very best of biographers and writers. I have Manchester’s trilogy of Churchill on my shelf and I can’t wait to get to it. Unfortunately it’ll have to wait until next year after I finish reading Caro’s volumes of LBJ, whom I hope his writing is up to par with Manchester and Chernow. On this President’s Day, 2019, congratulations to Steve on his reading accomplishment. And may all of us continue to have the passion and time to keep reading great biographies. Tally ho! I often wish I could speed read but in all honesty, I’ve only averaged about 55 pages of reading a day so my investment isn’t quite as daunting as it may appear. It’s just that I’ve been at it consistently and for so long. And you are right – taking notes takes time (though I’m an extremely fast typist) and writing each review basically takes an entire day’s worth of free time (so I have to make up the “lost” 55 pages of reading on days when I’m not writing a review). But, alas, there’s precious little time to take a break (though I will resist the temptation to pick up “Alexander Hamilton” again until tomorrow or Wednesday!) There’s just too much to read, and I have the next 28 biographies sitting on a shelf in front of me. Congratulations on completing this endeavor, and for sharing it with all of us. You are my inspiration. I just started my presidential biography journey 2 years ago (have previously read about 9 out-of order). I am included related biographies as well; for example: Abigale Adams, by Holton, and Alexander Hamilton by Chernow, and The Price of Greatness (Madison and Hamilton) by Cost. I refer to your site often for advice on my next read, and for encouragement. Happy President’s Day. – I am also looking forward to other “great biographies”. Amazing accomplishment, kudos! I stumbled upon your site in early 2016 and it inspired me to start buying my own biographies of the President’s. If there’s one question I’d have, it’s what your note taking style is. I see you’ve taken 5,000 (!) plus pages. I sometimes write in the book, but struggle to take notes on a separate note sheet. Again, congrats! Thank you! I do everything in Microsoft Word on a Mac. I simply type the page # and the specific text/quote. I’ve had people ask me to post my notes for each book but I haven’t taken the time to sort through the copyright implications (if any). Thanks for your reviews. I have found many that I did not know about and others I did but had passed over. Now I am looking at those too. I have been impressed and wish I had the stamina to do something of this nature as well. I am just finishing the last volume of Freeman’s bio of Washington. While I do not intend to read all of the books you have recommended, I am acquiring the full list plus some extras. This I am mixing in with my Churchill reading. The interesting thing about Freeman’s work was that it was devoid of current politics (or current at the time he wrote). It is difficult for an author to not judge the subject by the standards of the current day. I recall that Will Durant said something on the order of: “A man’s virtues are his own, his vices of his time”. One subject that is of interest is John Marshall, also the first biographer of George Washington (I have a first edition of volume 1, in terrible shape, but it looks cool). I will continue to follow your new adventure. I have enjoyed it, though my spouse is not thrilled with the money spent. Like you I have to buy my own books, but I prefer used hardcover from ebay to new. One recommendation: William Manchester’s “The Glory and the Dream”. Superb history. I haven’t looked into “The Glory and the Dream” but if it’s by Manchester I give it the benefit of the doubt without doing *any* homework! But I WILL look into it! I just finished reading Manchester’s biography on Douglas MacArthur, which I mentioned in another post, and was deeply impressed with his writing. I am looking forward to his three-book set on Churchill, which is on my shelf. But I didn’t know about The Glory and the Dream. 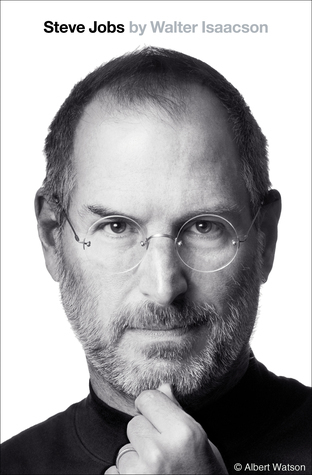 I looked into this just now and didn’t see a new reprint on this, so I’m hoping to get my hands on a good hardbound set for a decent price (I’m with you, Steve. I prefer hardcover books, though it won’t prevent me from purchasing a paperback edition to a very good biography if I don’t have a sensible choice). Congratulations Steve. Like I said on an earlier post, I’m glad you took on this website so I didn’t have to. And, honestly, you’ve done a much better job with it than I ever could have. I’m working on a post for my blog on my Top Ten President Biographies and will be plugging your website in it so hopefully a few more people will take a look at your very impressive accomplishment. Happy Presidents Day! I can’t wait to see your Top Ten list! And I just discovered all the great history on your site under your Blog tab – fantastic! Not many people can claim to have visited John Tyler’s home near Richmond – – most people in central Virginia aren’t even aware it’s there! Congratulations Steve. I read Truman by David McCullough in 2014. It inspired me to read me a biography about each of the presidents. And I googled information about great biographies and your blog appeared. Your reviews inspired me. I too finished my endeavor on Sunday. Although only 44 books, I feel like I’ve learned a lot. Thanks for taking the time to blog!!! Thanks for taking the time to leave a comment and congratulations on completing your endeavor! If you read anything I missed that you really liked, please let me know! Van Buren was one of those presidents whose presidency was the least-successful, and arguably least-interesting part of their lives. He basically built the New York Democratic Party from scratch and did a lot to consolidate it as a national organization during the Jackson years (Robert Remini’s book on Van Buren is good on this). I don’t know if you could write a truly great book about President Van Buren but Van Buren the Little Magician would make a great subject for a biographer. Steve – Thank you and CONGRATULATIONS on this great achievement AND public service to all those who have been interested in reading about any of our presidents and to those who have yet to get started on such a rewarding path. I hope many, many people in the future run into your website when looking for “the best biography of President _____.” That’s how I found you and your project. Your efforts have already paid off for all of us and will continue to do so for many years. Well done! My congratulations as well, Steve. I found your site a few years ago while searching for some ranking of best presidential biographies — mainly because I did NOT want to do what you just did! Many thanks for shifting through the wheat and the chaff for me. I’m a political science professor who specializes in the presidency — with your wealth of reading you may find it interesting at some point to take an analytical step back and look at some political science monographs that study the presidency in historical context. With your background knowledge of the facts you would have an interesting perspective looking at several (or all) presidents from a comparative approach. Keep up the good work! Yours is my all-time favorite blog — always a great read, always full of insight, and altogether an indispensable guide to presidential bios. Thank you for helping and inspiring my own journey. Just finished Andrew Jackson, onto MVB! I hope you enjoyed reading about Andrew Jackson. In many ways the current president reminds me of an amalgam of Jackson and Teddy Roosevelt. And MVB reminds me of an uber-Karl Rove. His presidency was a bit uninspiring, but his earlier career was absolutely fascinating. Your site has been invaluable in helping me choose the best biography for each president. I recently finished two books on FDR – Jean Edward Smith’s and Doris Kearns Goodwin’s) and am now reading all about WWII. At some point I’m going to have to cut myself off and dive into McCullough’s Truman. I’m looking forward to following your reviews on other biographies and follow-up presidential biographies. I also see a lot of value in what you are intentionally (or otherwise) pursuing which is to read in-depth about an era once you find a presidential biography or two that inspires you to go deeper. After I read one or two books on FDR I *really* wanted to divert and read a few biographies of Churchill, Stalin and Hitler along with “Band of Brothers” and a few more ancillary books. I’m really enjoying the bio of Hamilton I’m reading at the moment and can’t wait to see how this new leg of my journey evolves! So, pleased to see you actually complete this gargantuan mission and still have some gas in the tank for more. I’m impressed to say the least and frequently consult this site for reviews and to pinpoint the essential bio of a particular president. I don’t want to add anymore work to your huge to-read pile but “The Prophet: The Life of Leon Trotsky” by Isaac Deutscher (I see his bio of Stalin on your list already) is an incredible biography that has been cited as the favorite biography of such varied figures as Graham Greene and Tony Blair. I really recommend it. Thanks and no problem piling on – I’m eager to add great biographies of folks who aren’t former presidents and who I didn’t bump into directly on this journey. And Deutscher’s bio of Trotsky looks absolutely fantastic so thanks for the recommendation! CONGRATULATIONS! I wish I had a medal to give you! Thank you for undertaking this journey and sharing it with so many of us. Seeing the notifications come in from your blog that there was a new post, review, or comment was always one of the highlights of my day! For the past few years I have eagerly awaited each now review. I’m trying to remember at what point I discovered your website, but can’t recall specifically (I think around 2015). It has helped me expand my own presidential library over the past few years (currently at 316 titles, 156,299 pages, although 5 books are pre-ordered and it will continue to grow). I won’t read ALL my books, but I have put together a reading list, much of it with the help of your site, and it stands a little smaller than your undertaking. I currently have 260 titles on it, totaling 102,519 pages. I anticipate that will grow by a few thousand given books I’ve pre-ordered and ones to be released in coming years, but it is truly daunting to stand at the beginning of this precipice. I have already read extensively on several presidents (Reagan, Hoover, and Grant in particular) but I want to go through every one chronologically. As I read your posts and reviews, you made several comments about how this helped you build on your knowledge of the previous president, and better understand current ones because of the historical setup and context provided by previous biographies. Of course, I also have 75 Titanic books to read (I got my start as a historian back in the 1980s when I befriended Titanic survivors after getting fascinated by the disaster), and about 150 other U.S. history books, in addition to about 100 books on general world history and other biographies. I am going to practice speed reading because I won’t get through all of these. Honestly, some of them I’ll probably read the first chapter and conclusion first, then in each chapter read the first and last few paragraphs and skim the middle. But it is truly overwhelming to stand at the beginning of this potential journey and ask myself if the significant investment of time will be worth it, and I repeatedly find myself saying yes. I give lectures on history at schools and other organizations and I figure if I can share some of the knowledge I gain from this journey with others, and help encourage them on their own journey, it will be worth it. FYI, past comments have been under J.L. Jensen, but in recent weeks when I’ve commented it has had a different process than previously and it has changed my alias to J. Jensen. And although I’m excited to diversify my reading a bit, I have to admit I’m excited about the prospect of tackling the Chernow and White bios of Grant, Traub’s on JQA, etc. which I’ll be getting to in the next few months. I suspect once I get through the best of my follow-up list I’ll start gravitating my focus on the presidents toward new releases (the most promising of them, anyway). Now that I have increased “flexibility” please do let me know if you stumble across something I need to inject into my line-up! And I’m particularly interested to know if I’m missing anything on Hoover (follow-up or otherwise). I thought he was incredibly interesting so I’m hopeful the Nash series will prove rewarding (I still need to finish assembling it, sadly). For the final volumes (4 to 6) of The Life of Herbert Hoover I purchased copies directly from The Hoover Library and Museum in West Branch. If you haven’t already, you may want to check with them as it is hard to believe the asking prices for paperbacks of volumes 4 and 6. They were quite helpful and accommodating. Yes, those last 3 volumes of the Hoover series were trickiest to find. The most I paid for one was $35 for vol. 4, Imperfect Visionary. To help, I used the camelizer price tracker extension in Chrome and it alerted me when copies dropped below the price I wanted. I also bought one from Alibris and one from AbeBooks. If you can’t find copies for reasonable prices, I’d be more than happy to ship mine to you for you to borrow. I wonder if any nearby university libraries might have copies as well. As for additional Hoover scholarship, I remember some comments on your Hoover post talking about both the Jeansonne and Whyte single volume, cradle to grave bios that have come out in recent years. Both are excellent, with Jeansonne’s coming in at about half the length, but still with good punch. It reminded me of the American Presidents series bios that you liked and that you described as an effective use of each page. Whyte’s seems no less potent, however. Jeansonne also wrote vol. 5 of the Hoover series, “Fighting Quaker,” that covers his presidency. Overall, Whyte’s writing style is a little more engaging than Jeansonne’s, though Jeansonne definitely comes across as understanding Hoover much more deeply. Rappleye’s book is also quite enjoyable. I did find some inaccuracies peppered throughout, most not significant, but there were a couple that really left my scratching my head. I can’t recall what they were now, but I wouldn’t let them prevent me from still recommending it. Kendrick Clement’s “Hoover, Conservation, and Consumerism: Engineering the Good Life” is one I’d highly recommend. It’s very unique and engaging. I had no idea Hoover was such a conservationist, nor that the Republicans did a lot during the 1920s towards that end since Republican government during that period is most often portrayed as nothing but greedy, corrupt, and responsible for the ensuing Great Depression. It was nice to see some effective and efficient governing during that era that had nothing to do with economics and that portrays the government as striving to do something noble. Lastly, two of Hoover’s own works only recently published are excellent, but very dense. “Freedom Betrayed” is what he considered his magnum opus, and is a tome. I haven’t even read it all yet, but have read sections most relevant to things I’m studying. It’s Hoover’s secret history of WWII and its aftermath. While it is a fascinating look into world politics at the time, it’s not the most engaging and is often dry, yet informative. Hoover shows how truly adept he was at understanding world governments and politics of his era. Another of Hoover’s works, less a tome and more engaging, is “The Crusade Years” which is basically his memoirs and observations of politics from 1933 – 1955. It illustrates his side of the ongoing feud with FDR to control the image that history would have of him, and is insightful as FDR’s version of things won out and was the dominant version for decades. As for the scope of the task before me, I am hoping to become more adept at speed reading, though I often like to make notes just as you do. I have a feeling this journey may extend into my retirement, which is still years away, but if so, at least it will give me something enjoyable to do! Congrats Steve! It is a major accomplishment to have read multiple biographies of each president. Not too many people can say they have done that! You have inspired me to commit to tackling my own ever-growing collection of presidential biographies. I have really enjoyed following your journey, reading your reviews and interacting with you on this platform. Your blog has become a daily source of joy for me. Thank you! I’m a Canadian and learned a few things in reading the bios of those from about 1840 through 1860 about the whole slave state/free state issue. Way back when I learned about the Mason/Dixon line but discovered that this kind of fell apart. I’m looking for a good book that would provide additional background on this issue and would appreciate recommendations. Brenda Wineapple’s Ecstatic Nation does an excellent job exploring that issue. There are certain others like McPherson’s Battle Cry of Freedom and Potter’s The Impending Crisis which are worthwhile as well. But I enjoy recommending Wineapple because she seems to fly under the radar. Thank you for the recommendations. I will check those titles out. Congratulations! Reading your reviews has become one of my favorite past times and I look forward to following your progress. Curious to hear your thoughts on Chernow’s Hamilton and Grant, as well as Cheney’s Madison book. I caught the historical biography bug after reading Chernow’s Hamilton and I anticipate that you will agree that it ranks among the best historical biographies ever written. It is simply magisterial. I very much enjoyed Grant, although I wish that I had read JES’ biography as a point of comparison. It wasn’t as smooth of a read for me as the the other Chernow biographies but still was an excellent book. The Grant biography had a large amount of detail on Grant’s personal failings, and particularly his alcoholism. I think Chernow’s justification was that he wanted to provide the full context to Grant’s drinking and rebut some of the Lost Cause caricatures that had led to Grant being considered an inferior general to Lee and ranked as one of our worst Presidents until fairly recently. Cheney’s Madison book was actually quite enjoyable. I’ve read a few multi-volume sets (Edmund’s Roosevelt biographies, Remini’s Jackson) as well as some lengthy single volume biographies (McCullough’s Truman, anything by Chernow) and found her brevity refreshing. As an aside, I am currently reading McPherson’s Battle Cry of Freedom and can’t put it down. I have been reviewing books on the radio for the last 25 years. Hamilton was my book of the year in 2004 and Washington in 2009. Hamilton was even better than Washington if that’s possible. Its also not as well known that Chernow’s wife died during the writing of Washington, yet he managed to complete this great work anyway, in spite of the loss. I’m almost half-done with the bio of Hamilton and it looks like I will get to Cherno’s bio of Grant sometime this fall. I’m tempted to spend every free moment reading Hamilton but don’t want to finish *too* quickly because I’m enjoying it so much. It really does remind me of what I loved so much about his biography of Washington which I read early on. Do you use software to plot your reading schedule? I just have my reading (past and future) organized in an excel spreadsheet. Congratulations! Though I’ve not commented often, I’ve enjoyed your blog since *almost* the beginning. And this summary post is such an insightful way to end your exciting journey. Thanks for sharing! Thank you Steve for providing such an informative blog for the length of your journey. I have found it very helpful in choosing which biographies to read about particular Presidents. I very much admire your stamina and discipline to have reached the end, although pleasingly not quite the end with your three ongoing projects to keep the journey going for a while longer. As long as there are presidential biographies being published, my primary passion won’t be going anywhere, and if “Hamilton” is any indication of what I’m going to encounter during those stretches when I’m straying to biographies of other people…this is going to be a long, sweet ride! You did it! Congratulations. I’ve been following this blog for only a year, when I started my own quest to read one solid book per president. This blog has been invaluable to me to choose the next great book to read, and so far I have not been disappointed. Looking forward to following your next steps. Thanks for your efforts. i agree with those who are commenting about the Last LIon (which I’ve read more than once). I just finished Walking with Destiny (which was my book of the year for 2018–I’ve been reviewing books on the radio for the last 25 years). Last Lion is better than anything about a President, although the third volume tails off after about 300 pages since Manchester couldn’t work on it any more and Paul Reid finished it for him. The other two, however, are amazing! I look forward to your work and appreciate your efforts. From one book lover to another. Many thanks! Congratulations on reaching this milestone!! As I’m only in the very beginning of my own journey : each President, each First Lady, & at least book covering major events during their time, I’m even more in awe of your efforts. I’ve often referred to your posts for suggestions and glad you’ve gathered resources. I look forward to where your journey goes in the future. Congratulations on completing the first leg of your journey! I’ve followed your blog since about 2014 now, and have used it to augment my own library. I read Chernow’s “Hamilton” years ago and loved it; I’m sure you won’t be disappointed – same for his “Grant” bio as well. I’m looking forward to your next reviews for further recommendations. You said everything I’ve been thinking (and more) in this post, and I will be sharing it to my favorite Facebook book group. I am also enjoying everyone’s comments but will have to come back to finish reading them later. I am currently on FDR, a turning point for our country AND for me personally, as the next one gets me into some of the presidents who were alive when I was born (Truman, and Johnson onward). Congrats on finishing your list. I’ve always been fascinated by U.S. history, and I’ve made something of an effort over the last six months or so to read at least one biography about each major presidency (some, like TR and Lincoln, will likely require more than just one), and some ancillary figures like Hamilton, Franklin, et al. Your blog has been indispensable when making a decision about which biographies to read. I’m looking forward to seeing your opinion on some more recent highly-lauded biographies like Grant’s Chernow and I’m curious about Noah Feldman’s book on James Madison, who seems to deserve a definitive biography. So I’ll be checking back with some frequency. I’m just curious, who have been your favorite biographers? I’m not as widely read as you (who is? ), but I’ve enjoyed David McCullough and Doris Kearns Goodwin quite a bit. Jon Meacham is a pleasure to read even when he doesn’t dig quite as deep as I would like. Chernow’s Hamilton is next on my list of bios to read, so I’m looking forward to that. Someday I’ll dive into Caro. I’m anxious to get to Chernow’s and White’s fairly new biographies of Grant as well (I’ll be starting White’s tomorrow!) So far my favorite biographers have been Chernow, McCullough, Jean Edward Smith (excepting his biography of Bush 43) and Goodwin. I, too, enjoy Meacham but find more variability in his biographies than in my favorite authors. And both Caro and Remini are fabulous in their own ways, but each is more or less focused on a single president (LBJ and Jackson, respectively). I can’t wait to hear what you think of Hamilton…! I began my own journey of reading all US presidential biographies about 2 1/2 years ago, and I have referred to your site countless times along the way. Of course, I’ll continue to do so since I am only at Taft. Thank you for your dedication, and I look forward to reading your future reviews. No worries – thanks for your note! It is, indeed, a never-ending quest and after I finish the Steve Jobs biography I’m currently working on I’ll be starting on a biography of John Quincy Adams published after I already finished him off the first time through. Then, in a few weeks, I’ll be on to Lynne Cheney’s biography of James Madison (also published after I finished my first round of Madison several years ago). Good luck with Taft – let me know what you choose on him!